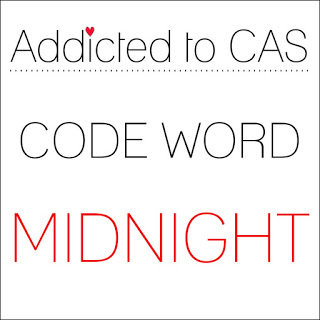 It was beyond midnight by the time I finished, which is kind of appropriate since that's the Addicted to CAS code word this week. I stencilled a moon, then masked it off and blended a dark sky. The birds weren't showing up on the dark background so I die cut another set of birds in pale card stock and matted it under the black. Kind of looks like the moon is shining on them I think. Anyway, that's all for now - happy stamping! GORGEOUS!! 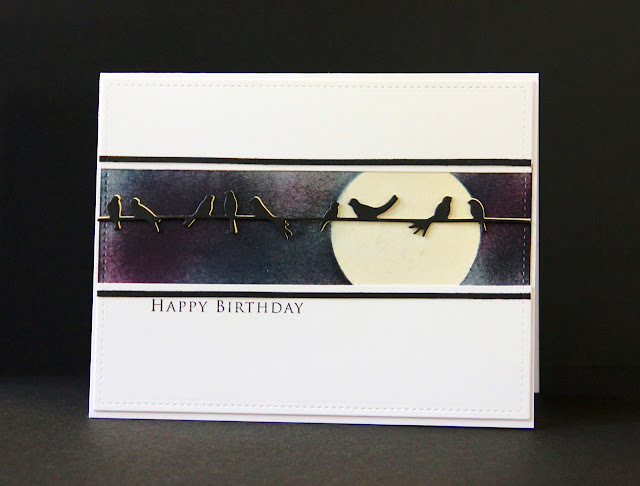 Ingenius to mat the silhouetted birds with the pale yellow! Your inked sky looks very dramatic too. Midnight certainly brings with it some serious inspiration. Lovely Claire! Thrilled that you could join us at CASology this week! Fabulous card, Claire! Brilliant idea to mat the birds - it really does look like the moonlight is reflecting off them! Thanks for playing along with the CASology challenge this week! Wow, this totally screams midnight. Fabulous design. Love the slight offset. 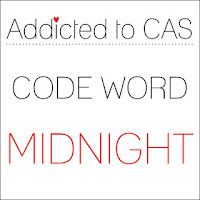 Great card for our Midnight challenge, thanks for playing along at ATCAS! Congrats on this win...this card is stunning. Love how you handled the problem with the birds! Totally awesome and worthy of your win!